Now let’s get serious. We’re going to really work the core and turn up the heat. 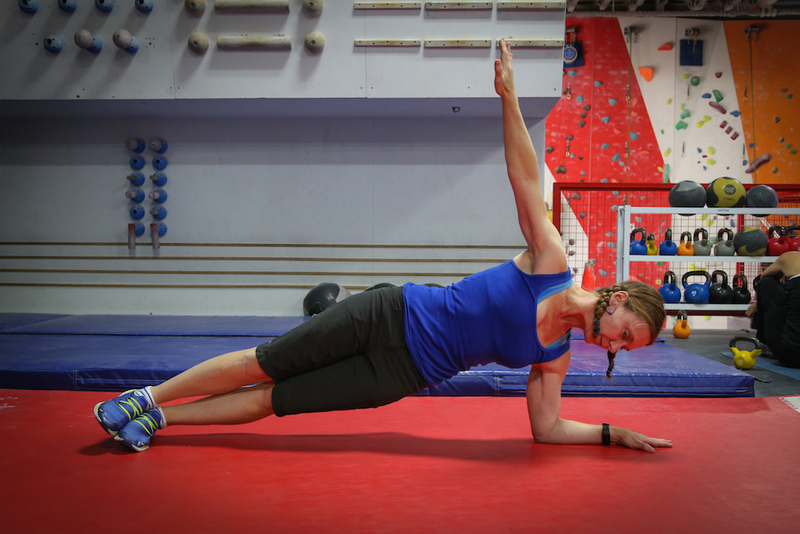 The plank is one of the best exercises for core conditioning because it also works your glutes and hamstrings, supports proper posture, and improves balance which is essential in training for ice climbing. – Hold your elbows directly under your shoulders and place your wrists in line with your elbows. – Push your body up into your upper back and hold your chin close to your neck (like you’re holding an egg between your chin and your throat). – In this position, brace your abdominals—contract them like expecting a punch in your stomach, squeeze your glute and thigh muscles simultaneously. Continue to breathe normally. Use variations. 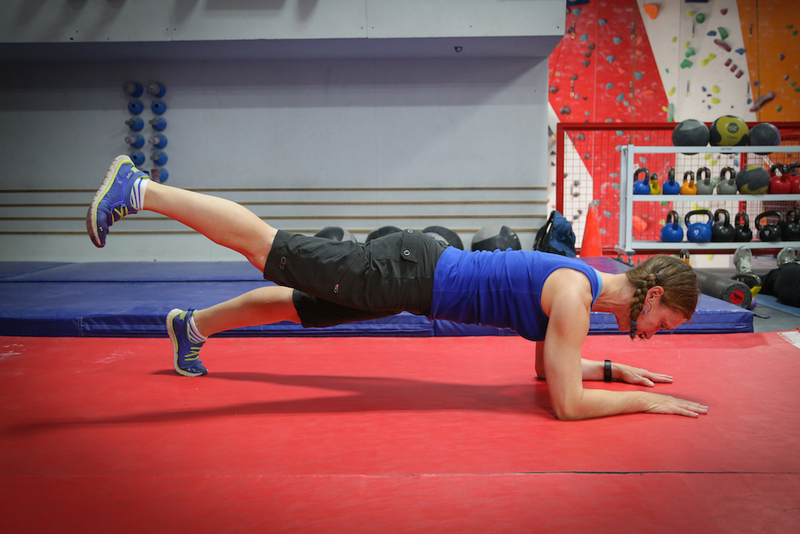 Try planks with a wide stance, do side planks holding each leg off the ground, hold your arm at your side or extended. 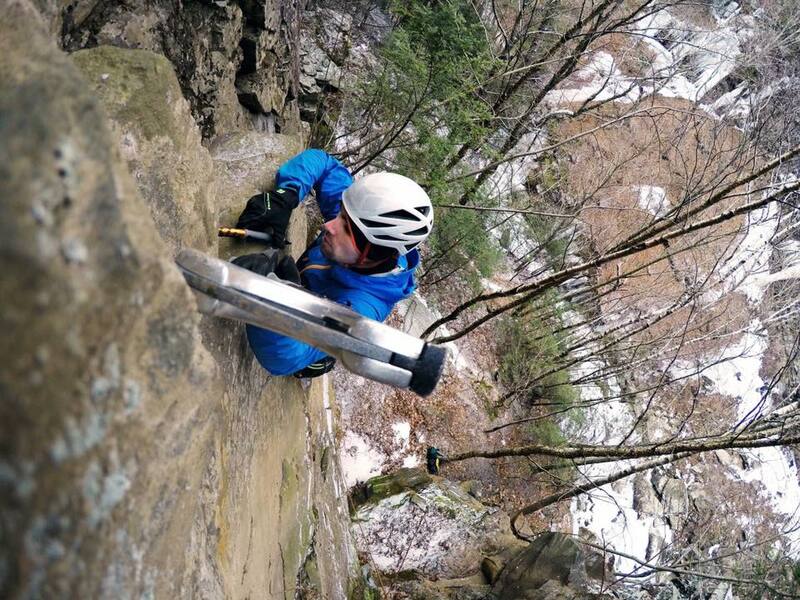 It is important to change up movement in training for ice climbing. For bonus points, use a Bosu Ball (ball side down). – Trying to hold the position too long, It is better to maintain proper form for a shorter period of time than to hold improper form for longer. These are an excellent challenge for the core muscle group. MC’s and SMC’s work everything from your shoulders to your knees. These can be a great cardio exercise. If you have access to a TRX setup we highly recommend using it to perform a suspended variation. If you don’t, performing this from a push-up position is also excellent. – Begin in a pushup position. – Bring one leg into your chest, then switch legs. – Keep the weight on the straight leg and hold the plank position. Standing Leg Wood Chop w/Medicine Ball. – Stand on right leg, (left leg bent, thigh parallel to the ground). 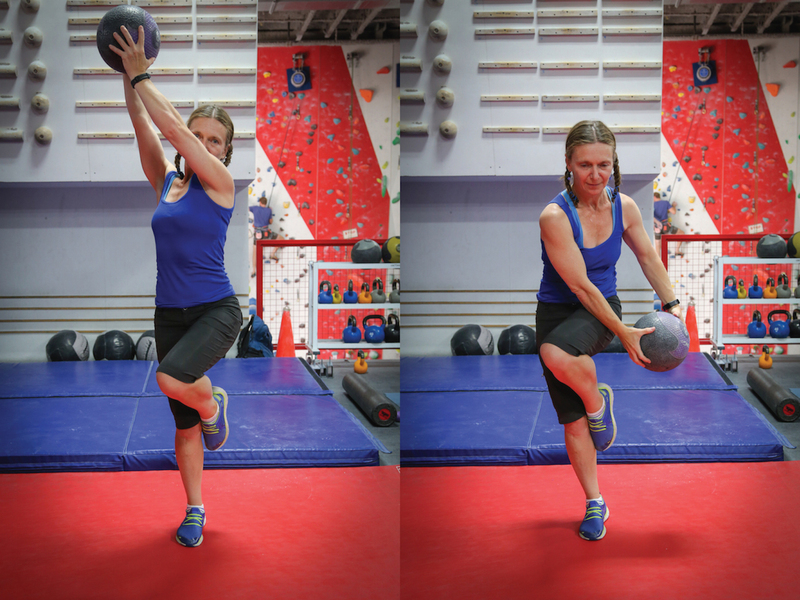 – Hold medicine ball up with both hands to the right side. – Quickly and smoothly bring the ball down to the left side. – Keep torso upright, do not bend your torso, keep standing leg slightly bent and restore to the starting position. – Repeat 6 -12x. Repeat with the other side. 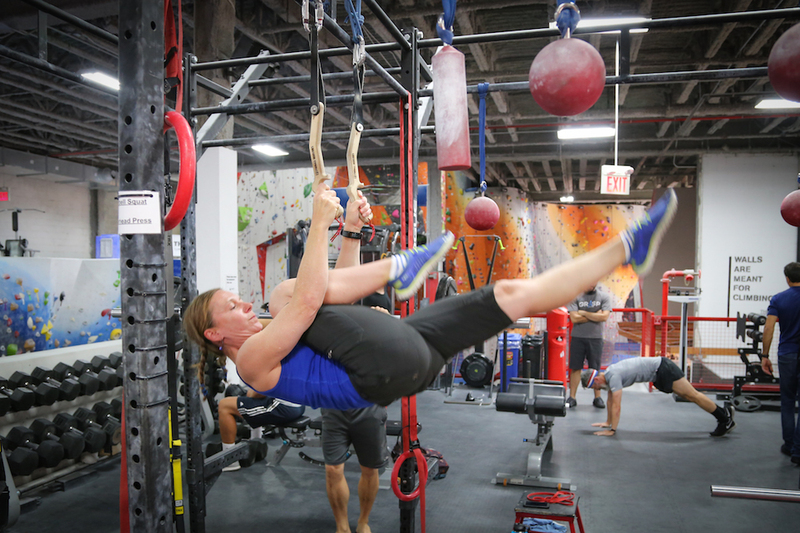 This is the first really challenging exercise in our program and also one that starts to put together some of the work we’re doing like grip and core strength. These are hard. Just getting into the position is a challenge, which is exactly what we want. 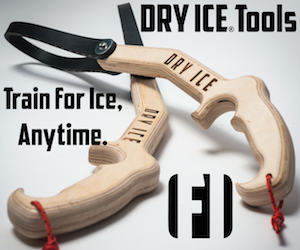 This move is a direct correlation to moves we may do when mixed climbing and vital to training for ice climbing season. Refer to pics. – Bring your back and the opposite leg (keep it straight) to a parallel position with the ground. – – Hold the position for up to 20 sec. In our next post we will dive into endurance exercises. Lay a strong base line and continue with your foundation workout now to be prepared for the challenges ahead.